ARTICLES NATURAL THEOLOGY / PHILOSOPHY Fermi's Paradox : Biogenesis, Abiogenesis and Design. Fermi’s Paradox is inevitably confronted when asking basic cosmological questions concerned with the origins of life on earth. Has life on earth arisen spontaneously from a universe full of life (perhaps even from extraterrestrial seeds), has it developed from terrestrial non-life (an event common or uncommon on earth-like planets throughout the universe), or has it arisen on specifically on earth by design. Is it even possible that alien life coexists with us on earth 1? The study of life on earth and beyond is called astrobiology. This paper will briefly examine the origin of life on earth from a broad astrobiological 2 viewpoint which incorporates the Christian perspective. Exobiology is the study of life beyond the earth. It is a purely theoretical discipline because there is no empiric evidence to support it or subject matter for it to study. The foundational premise of astrobiology contains three elements. Firstly, the life on earth is nothing special (an element of the mediocrity principle). Secondly, there are many planets like the earth throughout the universe (proven by the inferred presence of exoplanets beyond our solar system 3). Thirdly, abiogenesis 4 as a reality (still uproven). A proportion of exoplanets are expected to be within the “Goldilocks zone 5” for the existence of liquid water – an essential pre-requisite for carbon-based lifeforms. Biogenesis is the production of new living organisms or organelles. The law of biogenesis, attributed to Louis Pasteur, is the observation that living things come only from other living things, by reproduction 6. This used to be called the Law of Spontaneous Generation by the ancient Greek philosopher and naturalist Aristotle7 . Though Darwinian notions of the origins of life suggest life came from non-life, the complexity of life has made modern versions of biogenesis involving ‘naturalistic panspermia’ from outer space more likely in the minds of many scientists[the ‘stars are God’s sperm’ stated George Coyne8. If biogenesis occurred extra-terrestrially then the obvious question becomes, “What is the origin of extraterrestrial life”. There is actually no known mechanism to explain how the origin of life from non-life has occurred. The complexity that has to be overcome is enormous and the probabilities are impossibly low. There are many examples which help illustrate this point. Many molecules essential for life, such as sugars and amino acids, can exist in ‘right’ and ‘left’ mirror images (isomers)9. Any random chemical process which creates them would create equal numbers of left and right images. Such chirality10 is extremely important in the assembly of proteins and sugars essential for life because the molecules of living creatures contain only ‘left-handed’ amino acids and ‘right-handed’ sugars. How a random process could result in such homochirality remains unexplained and appears insurmountable11. Therefore, at this time, the proponents accept ‘accidental’ abiogenesis by ‘faith’. This might be intellectually satisfying and reasonable to many, but it is unscientific and irrational to accept ‘accidental’ abiogenesis as the origin of life to the exclusion of other possibilities. Many atheistic explanations therefore, prefer a form of panspermia. The Fermi Paradox is the apparent contradiction between the high probability of the existence of extraterrestrial civilizations, and the lack of evidence of, or contact with, such civilizations. The Earth should already have been visited by extraterrestrial aliens there is no convincing evidence of this, nor any signs of alien intelligence anywhere in the observable universe. The more common name for this paradox is the Fermi-Hart Paradox 12. Our Sun is a typical star, amongst billions of stars in the galaxy, vast numbers of which are billions of years older. It is highly likely that some of these stars will have Earth-like planets13 14, and if the earth is typical of these planets, some might develop intelligent life and civilisation. 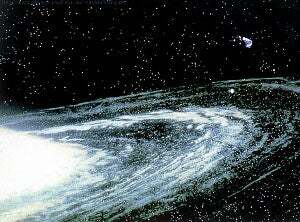 Even if interstellar travel is ‘slow’, the Milky Way galaxy could be completely traversed in about a million years. First proposed by radio astronomer Frank Drake in 1961, the equation calculates the number of communicating civilizations by multiplying several variables. N = 10 × 0.5 × 2 × 1 × 0.01 × 0.01 × 10,000 = 10 civilizations in our galaxy. Other common names for this question are include: the “Great Silence”21, and silentium universi (Latin for “silence of the universe”). Numerous major extinction events that destroyed the majority of complex species alive at the time have been observed on earth 27. Such extinction events may be common enough throughout the universe to periodically destroy civilisations prior to communication with other species 28. There is some kind of absurdly difficult step in the evolution of life — one that precludes it from becoming interstellar 29. Some suggest humans may be at the filter. The universe, while giving the appearance of bio-friendliness, may in reality be extremely hostile to intelligent life. In this multiverse model, young universes exceedingly outnumber older ones (by a factor of e1037 for every second of age). Young universes with civilizations will almost always have just one, the first to develop. Statistically, ours is likely to be a young one and have only one civilisation at this time. This may not be the case in other universes.31. Alien civilizations exist but are simply too far apart for two-way communication, becoming extinct before communication can be established. Signals (and probes) may be being transmitted but have not arrived yet 32. However, This is considered highly unlikely in the paradox 33. Interstellar travel is technologically feasible, even without the possibility of faster-than-light travel. However, the cost of materials and energy for such ventures may be so high as to make it unlikely that any civilization could afford to attempt it. Humanity’s ability to detect intelligent extraterrestrial life has existed for only a very brief period—from 1937 onwards, if the invention of the radio telescope is taken as the dividing line— and radio transmissions have only been propagated since 1895. Extraterrestrials might transmit signals that have a very high or low data rate, or employ unconventional data compression, frequencies, or modulations. They might be using lasers, extra-ordinary large geometrical structures or electromagnetic signals, gravitational signals, particle signals, tachyon signals, or something completely beyond our understanding of physics. It’s also quite possible that they are in fact using radio signals, but we don’t know which frequency to tune into (the EM spectrum is extremely broad). More conceptually, we may eventually find a message buried in a place where we least expect it — like within the code of our DNA. Signals might be sent from non-main sequence star systems that SETI searches with lower priority; current programs assume that most alien life will be orbiting Sun-like stars. Challenges also include : the sheer size of the search area (the entire visible universe); the sensitivity of modern instruments; detectors must be listening to an appropriate range of frequencies, and be in that region of space to which the beam is being sent. Perhaps civilizations outgrow radio through technological advance or, resource depletion cuts short the time in which a species broadcasts, or advanced alien civilizations evolve beyond broadcasting at all in the electromagnetic spectrum and communicate by principles of physics not yet understood by humans (eg neutrino signals 34 35. Some advanced beings may divest themselves of physical form, 36. Perhaps they are disinterested in their outside world being only motivated by “social and entertainment technologies”, including virtual reality . An alien civilization might feel it is too dangerous to communicate, either for us or for them 3738 39. Others are silent and they must have a reason. That is, perhaps every civilization keeps quiet because of the possibility that there is a real reason for other civilisations to avoid contact 40 . Alien civilizations might be technically capable of contacting Earth, but are only listening instead of transmitting 41 42. Aliens may be psychologically unwilling to attempt to communicate with human beings due to differences in scientific methodology (eg human mathematics), physiology, thought processes or communication processes. 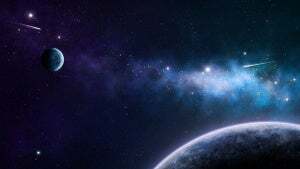 There may be a different galactic habitable zone for post-Singularity ETIs than for flesh-based life and advanced extraterrestrial civilisations would have no interest in exploring the bio-friendly habitable zone, such as earth. It may be that at least some civilizations of intelligent beings are not technological and therefore difficult to detect 43 44. And that they don’t find us interesting enough to stay. Or least, extraterrestrials our ancestors. Driven by doubt that random evolutionary processes could account for the complexity of their recent discovery of the DNA Molecule Dr Francis Crick and Dr Leslie Orgel posited the modern hypothesis of ‘Directed Panspermia’45 – effectively, that aliens spark life on other planets (like sending spores to potentially fertile planets), and then leave, perhaps forever. It is immensely popular in Hollywood46. This view is popularised by religiously atheistic science writers such as Richard Dawkins who wrote “The God Delusion”. By appealing to such mechanisms, Dawkins appears to argue for the ‘aliens of the gaps‘ to counter his criticism of the theistic ‘God of the gaps‘. 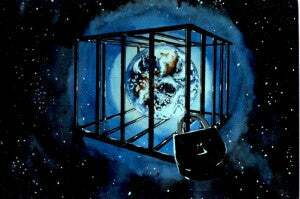 The zoo hypothesis states that intelligent extraterrestrial life exists and does not contact life on Earth to allow for its natural evolution and development 47 . This requires a uniformity of motive of alien civilizations within range and is unlikely 48. Beyond a certain distance, the perceived universe is a simulated reality and the simulation isn’t generating any extraterrestrial companions for us.. Alien civilisations may have created this simulation so that the universe appears to be empty of other life 49. It is possible that a civilization advanced enough to travel between the stars could visit or observe our world while remaining undetected 50. The consensus scientific view is that although UFOs (Unidentified Flying Objects) may be unexplained, they do not rise to the level of convincing evidence of spacecraft piloted by aliens 51. Perhaps SETI groups are not reporting positive detections, or governments have been blocking signals or suppressing publication. The universe is still evolving and changing and the conditions to support advanced intelligence have only recently fallen into place52 – an astrophysical explanation for the Great Silence. A possible regulatory mechanism that can account for this is the frequency of gamma-ray bursts — super-cataclysmic events that can literally sterilize large swaths of the galaxy. In other words, gamma-ray bursts are too frequent, and intelligent life is constantly getting wiped out before it develops the capacity to go interstellar. 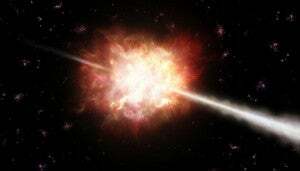 Looking to the future, however, given that gamma-ray bursts are decreasing in frequency, things are set to change. 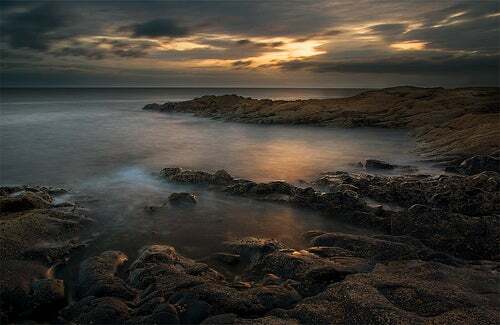 The origin of life and the evolution of biological complexity such as sexually reproducing, multicellular organisms on Earth (and, subsequently,human intelligence) required an improbable combination of astrophysical and geological events and circumstances. The hypothesis53 argues that complex extraterrestrial life is a very improbable phenomenon and likely to be extremely rare54. The scientific evidence supports this view. Scientific hypothesis doesn’t. The conditions needed for the evolution of complex multicellular life — or at least the evolution of biological complexity — are rare or even unique to Earth. This is closely related to the rare Earth hypothesis, and represents a rejection of the mediocrity principle 55 . Even if complex life is common, intelligence and technological civilizations are not56. Furthermore, the history of life on the Earth demonstrates that only one species has developed a civilization to the point of being capable of spaceflight and radio technology 57 . Classical young earth ‘Creationism”62 is only one extreme end of the spectrum of theistic and Christian thought. There are a wide variety of theistic and Christian perspectives on abiogenesis, biogenesis and the origin of life. For example, some believe that God guided the seeds of life to earth from space (directed panspermia), followed by theistic evolution using a Darwinian-like process as an expression of intelligent design 63. It is important for atheists to find the existence of extraterrestrial life to confirm their world view, particularly to overcome the uniqueness of man, to affirm the mediocrity principle and to justify a naturalistic panspermic biogenetic explanation for the origin of life on earth. However, the existence of extra-terrestrial life does not undermine the Christian world-view, or prove atheism. The underlying assumption that randomness explains life is both unproven and unlikely scientifically. Christians believe that human life is created by God and special in the universe. Perhaps the earth is special too as the vehicle for this life. Rather than accidental abiogensis as the explanation for life on earth, Christians believe in a deliberate abiogenesis by a Creator God. Discovery of extraterrestrial civilisations does not change this view. Many Christians are just as excited to find extraterrestrial civilisations as non-Christians. But the scientific evidence is that extraterrestrial civilisations don’t exist. In fact, there is no evidence for extra-terrestrial life at all at this time. Terrestrial life itself is based on a complex DNA/RNA code which implies design. The chemistry of life implies design. The astrophysics required as well as the specific qualities of the earth for life suggest design. Life in the Universe can only occur when certain universal fundamental physical constants lie within a very narrow range. If any of several fundamental constants were only slightly different, the Universe would be unlikely to be conducive to the establishment and development of matter, astronomical structures, elemental diversity, or life as it is understood 64. The mathematical nature of the physical laws of the universe suggest design by a mathematician with the existence of life in mind65.This ‘fine-tuning’ of the universe is evidence of design. Though there are many gaps in the scientific knowledge around the nature of life, the notion of ‘design’ is about the scientific evidence, not about the gaps. Many scientists believe that design means intelligence66 67 68 . Christians believe that intelligence is God. Christians see teleology inherently in design. Such teleology explains why the dependency on randomness makes ‘natural selection’ unable to explain the convergence into complex life that actually has occurred. Too many obstacles need to be overcome for randomness to be the likely explanation. For example, once the astrobiological improbabilities are overcome, simple biological improbabilities need to be overcome, such as the very high likelihood that mutations are likely to be harmful rather than beneficial. Biogenesis is far more likely to result in complex life if it is directed or designed with a goal or purpose in mind. So intelligent causes are necessary to explain the complex, information-rich structures of biology. These causes should be empirically detectable. Certain biological features defy the standard Darwinian random-chance explanation, because they appear to have been designed. Since design logically necessitates an intelligent designer, the appearance of design is cited as evidence for a designer69. Many Christians would hold to some form of Intelligent Design Theory70: 1) irreducible complexity71, 2) specified complexity72, and 3) the anthropic principle. The anthropic principle73 74 75 . is really a philosophical construct arising from astrophysical empiric evidence and calculations for ‘fine-tuning’76. It is a very powerful argument for design77. The Christian view is that this principle is an expression of God’s providential engineering of the universe to suit mankind’s specific needs which led to a change of heart in one of the twentieth century’s most influential atheists78. There is no evidence that other universes exist79. Yet it is really only in the context of a multiverse that randomness can explain the anthropic principle without design80. And the multiverse is an unproven81 and untestable product of attempts to achieve harmony between mathematical probability models and the actual apparent single set of mathematical outcomes describing the reality of our universe. Other naturalistic arguments avoiding the implication of design include ‘Top-down cosmology’82, ‘Bubble universe theory’83 . Christians believe that evidence for the Creator’s handiwork can be found by scientific enquiry. The Bible actually teaches that not only is this so, but it should result in people acknowledging and worshipping God “For since the creation of the world God’s invisible qualities—his eternal power and divine nature—have been clearly seen, being understood from what has been made, so that people are without excuse” (Romans 1:20). It is right and good that all things be questioned. However, there is enough evidence to make the possibility that God created the universe and life within it to be reasonable. At best, exclusion of this possibility is an expression of atheistic faith rather than scientific equipoise. .
Feel free to add your comments after the footnotes. André Brack (1998). “Introduction” . In André Brack. The Molecular Origins of Life. Cambridge University Press. p. 1. ISBN 978-0-521-56475-5. Retrieved 2009-01-07. Aristotle gathered the different claims into a real theory. Exploration consists of sending a mission towards other stars once the necessary technological level are reached. Extrapolating from observations of terrestrial civilizations since the beginning of time. The lifespan of a star in a stable form is limited. Under these conditions, sooner or later, space flights and interstellar flights will prove to be essential to survival. The current pessimistic fi parameter is much lower than the original Drake estimate due to the rare low radiation present on Earth. Taking into account the original estimate, the result rise to 0.08 civilizations in our galaxy.While these calculations result in N<<1, some observers believe this is still compatible with observations due to the anthropic principle:no matter how low the probability that any given galaxy will have intelligent life, the galaxy that we are in must have at least one intelligent species by definition.There could be hundreds of galaxies in our galactic cluster with no intelligent life whatsoever, but of course we would not be present in those galaxies to observe this fact.Enrico Fermi assumed the existence of only one extraterrestrial civilization capable of intersidereal travel (at a speed lower than the speed of light). He assumed that this civilization would be interested in the conquest of the Galaxy and that it progressed by jumps, colonizing a planet during a few hundred or thousands years, then sending tens of vessels towards new conquests.The problem is that after only a few million years, the whole of the Galaxy is under the influence of this extraterrestrial civilization (the low rate of travel being largely compensated by the exponential increase of the vessels number).Simulations of an expansion show that it is possible for one civilization to colonize the whole galaxy in about 10 million years, a short time compared to the age of the Galaxy (ten billion years).The question then arising, and famously formulated by physicist Enrico Fermi in 1950: since only one extraterrestrial civilization could spread in a relatively short time, how is it possible that that we never saw the extraterrestrial ones and that our radio telescopes never collected signals of suspect origin? Self-annihilation may also be viewed in terms of thermodynamics: insofar as life is an ordered system that can sustain itself against the tendency to disorder, the “external transmission” or interstellar communicative phase may be the point at which the system becomes unstable and self-destructs : Hawking, Stephen. “Life in the Universe”. Public Lectures. University of Cambridge. Archived from the original on April 21, 2006. Stephen Hawkings warns humanity about it’s own destined disaster in http://www.smh.com.au/technology/sci-tech/humans-will-cause-disaster-on-earth-must-escape-to-stars-stephen-hawking-warns-20160119-gm9lna.html. Conceived in 1998 by Robin Hanson,http://io9.com/5970501/the-great-filter-theory-suggests-humans-have-already-conquered-the-threat-of-extinction. by creating massive artificial virtual environments, transfer themselves into these environments through mind uploading, and exist totally within virtual worlds, ignoring the external physical universe Bostrom, Nick (22 April 2008). “Where Are They?”. MIT Technology Review. Retrieved 21 June 2015. Marsden, P. (1998). “Memetics and social contagion: Two sides of the same coin”. Journal of Memetics-Evolutionary Models of Information Transmission 2 (2): 171–185. Beatriz Gato-Rivera (1970). “A Solution to the Fermi Paradox: The Solar System, Part of a Galactic Hypercivilization?”.arXiv:physics/0512062 . Webb, Stephen (2015-05-18). If the Universe Is Teeming with Aliens … WHERE IS EVERYBODY? : Fifty Solutions to the Fermi Paradox and the Problem of Extraterrestrial Life.ISBN 978-0-387-95501-8.
. Cook, Stephen P. “SETI: Assessing Imaginative Proposals”.Life on Earth and other Planetary Bodies. p. 54. ISBN 978-94-007-4966-5. Rare Earth: Why Complex Life Is Uncommon in the Universe is a 2000 popular science book about xenobiology by Peter Ward, a geologist and paleontologist, and Donald E. Brownlee, an astronomer and astrobiologist, both faculty members at the University of Washington. Ward, Peter D.; Brownlee, Donald (January 14, 2000). Rare Earth: Why Complex Life is Uncommon in the Universe (1st ed.). Springer. p. 368. ISBN 978-0-387-98701-9. Chemists and biologists are still not entirely sure how the first self-replicating molecules came into existence. Unlike its big brother, DNA, RNA is a single-stranded molecule that has a much shorter chain of nucleotides. Moreover, it usually needs DNA to reproduce itself — which would have been a problem given the absence of DNA in those early days. That said, scientists know that RNA is capable of reproducing through autocatalysis. It does this by storing information similar to DNA, which allows it to become its own catalyst (a ribosome). This so-called RNA World Model suggests that RNA can function as both a gene and an enzyme — a pre-DNA configuration that eventually became the basis for all life. Given that we’ve never detected life elsewhere, it’s difficult to know how difficult this initial step was. But that said, this form of life emerged super-early in the Earth’s history — about a billion years after its formation, and immediately after the cooling of rocks and the emergence of oceans. a few atheists cannot deny the strong evidence for design but are not willing to acknowledge a Creator God. They tend to interpret the data as evidence that earth was seeded by some sort of master race of extraterrestrial creatures (aliens). Without addressing the origin of the aliens they return to the original problem with no credible answer. Mark Isaak (ed.) (2005). “CI301: The Anthropic Principle”.Index to Creationist Claims. TalkOrigins Archive. 2007-10-31. The strong anthropic principle (SAP) as explained by John D. Barrow and Frank Tipler states that this is all the case because the universe is compelled to eventually have conscious and sapient life emerge within it. Stenger, Victor J. (1999-07-03). “The Anthropic Coincidences”. Colorado.edu.